A company, a museum, a school, a laboratory, a centre of studies… all built by the enormous passion of Tino Sana, who this year celebrates his eightieth birthday. He was the driving force, year after year, behind this stronghold of wood located in Almenno San Bartolomeo, a few kilometres from Bergamo. And his four children ensured that this economic and cultural asset kept on growing: Guido Sana, “general manager” of Tino Sana; a Gianpaolo Sana, sales director; Aurora Sana, in charge of the museum, and Chiara Sana, involved in the administrative side of the business. These are the figures for Tino Sana: 160 workers, a turnover of approximately € 35 million depending on the orders that come in and which, being linked to ship and contract work, may even be very significant. A factory covering 25,000 squares metres, rationally organised: around the area where the panels are processed into semi-finished products, sized, veneered and edged, and the two carpentry workshops into which the different types of jobs are divided, ship/yacht and contract work. There is also a mechanical workshop where metal parts are made and a painting department fully equipped with all of the necessary technologies. At Tino Sana they do everything, from panels and boards to the painted finished product. Guido Sana welcomes us to the factory one Saturday morning. There’s a lot to do. In fact, every department is bustling. “What you see – he tells us – is the result of fifty years of commitment from my father and our family. Recent years have been quite tough, but we’ve done everything possible to keep working with our staff and partners, a precious asset, and to meet the needs of customers who keep working with us. We kept going and we’re still here, doing what we do best, work to order. We are craftsmen with great manual skills and we recognise the enormous value of technology, how it can make some operations easy, fast and inexpensive. 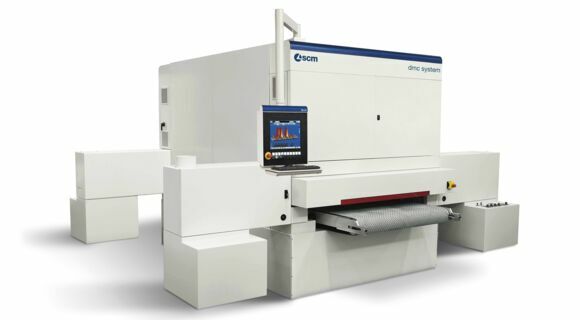 We have machines for every requirement, because we do everything in-house, so we have to know how to do everything – from Rei certified doors for hotels to the ballroom of a transatlantic cruise ship – using the necessary technologies”. It may appear to be a huge challenge, but the Sana family are relaxed about it. “50 percent of our work now is fitting out ships, the rest is for hotels and furniture for points of sale or commercial spaces. We work for Missoni or Panerai, just a couple of examples. In the past, until the 1990s, we supplied Armani, Trussardi, Ungaro… then we focused more on ships, the shipbuilding industry, which is very demanding. Now we’re branching out again in this area, because it’s so important to diversify…”. But what do you mean by “ships”? “Mostly large cruise liners, big lounges, communal spaces… all bespoke. We’re known for our ability to make large-scale furniture, fully bespoke fitting out of entire enormous rooms, right down to the smallest detail. We are the point where the expertise of the craftsman meets the advantages of industry, finding ways to use the most modern tools to make unique pieces. Computers and technology have helped us a lot: we’ve moved past the time of the chisel and plane... Fincantieri is an important “reference point”: the Italian shipbuilding industry is famous worldwide. The shipyards of Ancona, Monfalcone, Marghera or Genoa, all yards where we have a presence, produce the most beautiful and biggest ships for all of the world’s leading ship owners. And, as I already said, there are the hotels, a considerable part of our work, but definitely simpler and faster, sites where the order is completed in 120, 150 days." 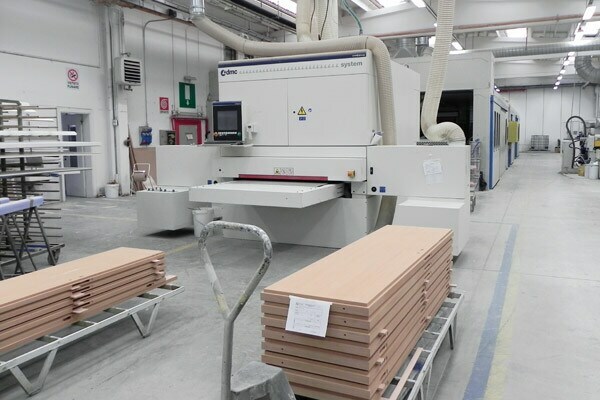 In the factory we have Gabbiani panel sizing machines, nesting machining centres, the former with automatic loading and unloading, purchased years ago. I think it was one of the first “high-tech” machines brought out by the group. 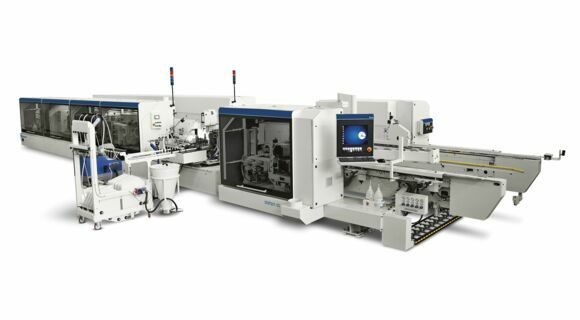 We have a Stefani double-sided squaring and edge banding machine, compact and highly automated; Scm Olympic S1000 single-sided edge bander with return; an Scm “Pratix S” machining centre; a Morbidelli “Author M400 machining centre with extremely fast automatic worktable and, alongside it, a Morbidelli “Author X5 67 Evo”, from 2009, still perfect for machining large panels, thanks to the seven-metre worktable; a Dmc “System” sanding machine for finishing and many traditional machines. We’re very happy with those technologies, whether working on panels or top quality wood or special materials for ships”. “In 1984 my father had the insight to use part of the free space at our company to put some historic pieces on display. Three years later, in 1987, the museum was created. A decade after that, it was temporarily transferred, because we needed to erect a building that could hold everything we had found: the Fondazione Museo del falegname Tino Sana (carpenter’s Museum Foundation) was established and we inaugurated the new building in the year 2000. Not everyone understood – and, I have to admit, even we didn’t fully appreciate – the importance of my father’s decision: they weren’t just memories, it was an investment in history, our history, raising the profile of the business, making culture. Today it is an officially recognised museum, internationally renowned and open every day, with a collection of more than seven thousand pieces spread over 3,500 square metres, plus another 1,500 items that we rotate on display. We’re really proud of it and it is an essential part of what Tino Sana is today and of the values it represents all over the world”. One source of pride for Tino Sana is unquestionably its long, historic, splendid commitment to training young people, a proper school today housed in a building built from scratch in under six months, an extension entirely financed by the company. “We support woodworking, which in our territory boasts a long tradition”, says Guido Sana. “Today there aren’t many industrial companies in the sector, but there are more than 1,500 businesses run by craftsmen". It’s a sector that, despite changes, is still going strong. For example, on the first day of school, all of the students have already got a company ready to take them for their internship, which is an essential part of the training. Scm Group has always given the school solid support. “We have always been happy to have the opportunity to accompany the development of this institution”, Giovanni Gemmani, Scm Group Chairman told us. “Today more than ever, it is indispensable to train evolved craftsmen, people who understand wood and the chance to work it using new tools, high-tech machines that – in fact – create new business opportunities in a sector where there is still a lot to offer”. The school currently takes one hundred young people every year, which is why it needs a suitable space and Sana family investment in the new building. “At the moment we have 600 square metres, half workshop and half classrooms”, continues Guido Sana. 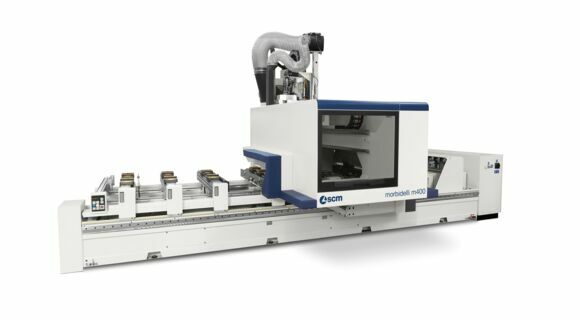 “As well as traditional machines, which we acquired with help from Scm Group, the jewel in the crown is the focus on the most advanced technologies, thanks to the computer room, courses on how to use Cad and the chance to try all of this out with a Morbidelli “Author M200” 5-axis machining centre that Scm Group gave us free of charge, on loan for use”.